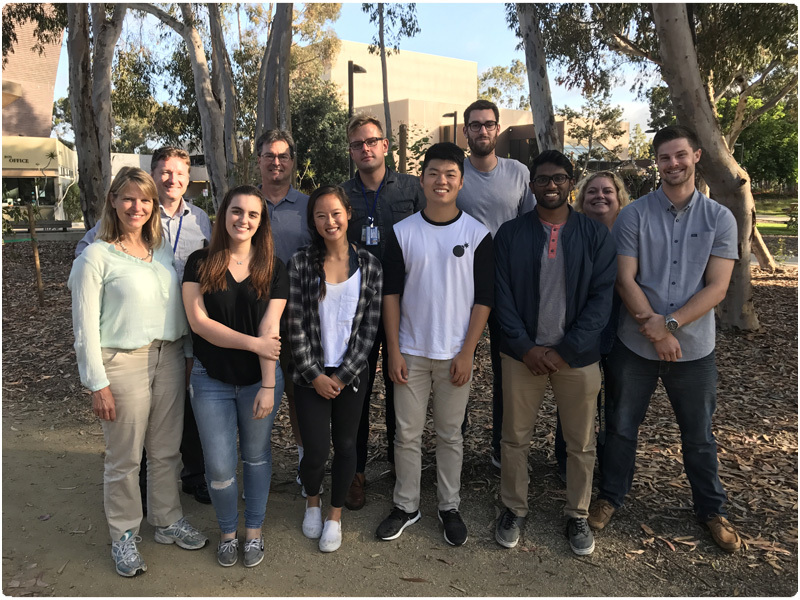 The Departments of Medicine and Bioengineering as well as the Academic Enrichment Program at UC San Diego are proud to partner with the American Heart Association (AHA) and the Institute of Engineering in Medicine, to enable 5 undergraduate students with the possibility for a 10 week research experience during the summer of 2019. The objective of the award is to encourage students from all disciplines to consider research careers in areas that are relevant for the mission of the AHA. Student from disadvantaged backgrounds and underrepresented minorities are particularly encouraged to apply for this fellowship experience. Scholarships will be awarded for the following years: 2017, 2018 and 2019. 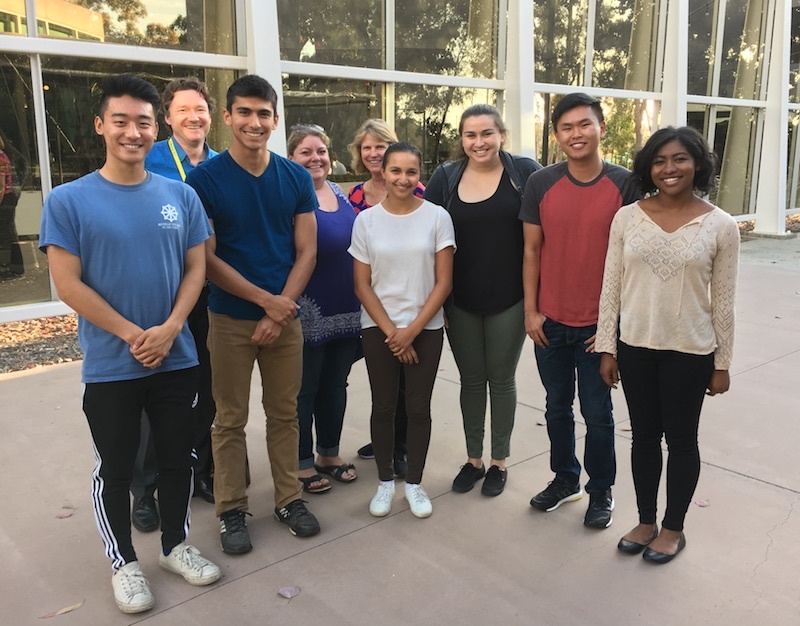 We congratulate the following 2019 AHA@UCSD Summer Undergraduate Scholarship Awardees for their successful application. The 2018 AHA scholars and mentors. Please expand to see more information on the 2018 awardees. We congratulate the following 2018 AHA@UCSD Summer Undergraduate Scholarship Awardees for their successful application. The 2017 AHA scholars and mentors. Please expand to see more information on the 2017 awardees. We congratulate the following 2017 AHA@UCSD Summer Undergraduate Scholarship Awardees for their successful application and completion of the fellowship. UCSD News article covering 2017 AHA undergraduate Mandy Che's research in Dr. Sheikh's laboratory. Trainee Stipend/Salary: $4,000 per student for the 10-week summer research experience. A limited number of travel and living subsidies may be available for the student. Details will be announced to finalists. January 15, 2019 Start of application period. 6pm Pacific Standard Time (PST). March/April 2019 Matching of students with PI-laboratories and finalizing of research projects. Notification of award to selected students. Please expand to see student eligibility requirements. Please be aware that you need to meet ALL requirements to be considered for the fellowship. To be eligible for this program, an undergraduate student must be classified at the junior or senior academic status at the time of award activation, or may complete the fellowship during the summer immediately following graduation. 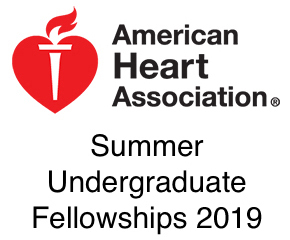 A student who was previously supported by an AHA summer fellowship may apply for an additional fellowship in a subsequent year. However, a student who has been supported by two AHA undergraduate summer fellowships is no longer eligible to apply. An application for a second undergraduate fellowship should be well-justified. The student can hold only the AHA summer undergraduate scholarship during the time of the award. Student must be enrolled full-time or a recent graduate of an undergraduate degree program at a four-year college or university. Student must either attend an institution within the Affiliate or be a resident of a state within the Affiliate. At the time of application, student must be a United States citizen, or a foreign national holding a student, exchange or permanent resident visa, including an F-1, H1, H1B, J1, PR, TC or TN visa. Students are not required to reside in the U.S. for any period of time before applying for American Heart Association funding. Students have to be able to finish the program in the allocated time over the summer. UC San Diego Dr. Chen’s laboratory investigates cardiac and skeletal muscle myopathies. His research focuses on disease associated mutations to sarcomere-associated proteins. Projects in his lab revolve around myofibrillar and sarcomere associated proteins, such as FHL1, Cypher, and use genetic, physiological and biochemical techniques. More information can be found on the lab homepage. UC San Diego Dr. Lange’s research is focused on studying muscle development, signaling and maintenance, by studying the biological role of sarcomeric and muscle associated proteins. Research projects in Dr. Lange’s laboratory investigate signaling pathways that at are responsible for the development of dilated cardiomyopathy, and which involve cardiac functions of muscle ankyrin repeat proteins. Students would be trained in biochemical, cell-biological, molecular and genetic techniques to investigate functions of cardiac signaling pathways. UC San Diego Dr. Omen is interested in biomechanics of cardiac contraction and cardiac disease mechanisms. Projects in his lab investigate passive and active mechanics of the normal and diseased hearts, instrumentation development for biomechanical and functional measurements in the mouse heart, and computational modeling of cardiac function. UC San Diego Dr. Purcell studies different aspects of cerebrovascular and cardiovascular physiology, principally focusing on changes in cellular signaling due to phosphatase removal in normal physiology and disease states. Students working on projects in Dr. Purcell’s laboratory would receive training in physiology, molecular and cell-biology. UC San Diego Dr. Sheikh’s work evolves around molecular mechanisms for the development of arrhythmogenic right ventricular cardiomyopathy. 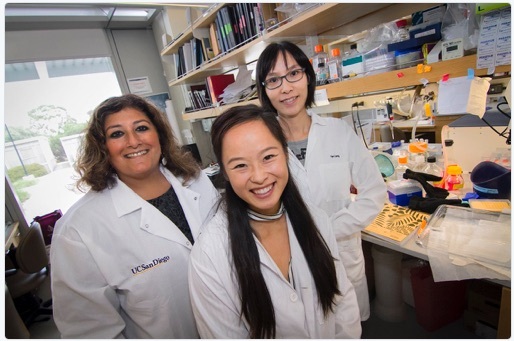 Projects in her lab investigate proteins of the cardiac intercalated disc, specifically proteins of the desmosome complex that are involved in the disease mechanism. To establish student eligibility and help in the selection of the student into the program, we require the following documents. Only complete applications will be evaluated! Please select expand to see the list. A personal statement from the student (~1000 words) that outlines the importance of the program for his/her professional career development. The statement should also encompass the students testimony on increasing diversity. 2 letters of reference: the student should alert faculty members from the student's college to provide letters on the students behalf. Reference letters by non-faculty members, like postdocs or supervisors on projects are also permissible. Letters should always be sent from a professional email address - i.e. reference letters received from non professional email addresses (e.g. gmail) will not be accepted. An up-to-date CV or biosketch, that includes information on any prior research experience. Select expand to see information on the application process for the undergraduate student fellowship. Please be aware that you need to meet ALL requirements to be considered for the fellowship. Review all requirements and gather documents needed to apply for the undergraduate fellowship. Notify your referees to provide letters of reference on your behalf within the deadline. Copyright 2016 Regents of the University of California. All rights reserved.